iNews880 AM (CHQT), launched on August 19, 1965 is an Alberta based station broadcasting local news and talk content on 880 kHz and AM stereo. In the beginning iNews on-aired Middle of Road music before dropping the oldies format and turning to an all-news format in May 2008. The Corus media arm has radio and TV siblings including CHED, CKNG-FM, CITV-DT and CISN-FM. 630 CHED produces all the newscasts for the radio owned by Corus. The call-sign CHQT is the abbreviation of Canada’s Highest Quality Talk. Grounded in Edmonton iNews880 AM by its news, traffic, weather and sports updates, iNews Reports, trending, social feeds and much more. Then there are polls, contests and events engaging the audiences to contribute with suggestions, pictures, news, videos and whatever the find worth-sharing. Besides hosting news and serious stuff the iNews 880 AM collaborating with its partners like 630 CHED and others sponsors programs like Santas Anonymous and Corus Feeds Kids and encourages the charity initiatives for the good and betterment of society. You can contact them via the contacts given below and also find way to donate listed on the official web-page. Listen iNews 880 AM (CHQT) Live from Edmonton, Alberta. Wait as the stream loads. Audiences can listen to the Edmonton and national news from Vancouver, Calgary, Toronto, Winnipeg and other locations in and outside the country ON RADIO.ON LINE.ON DEMAND. 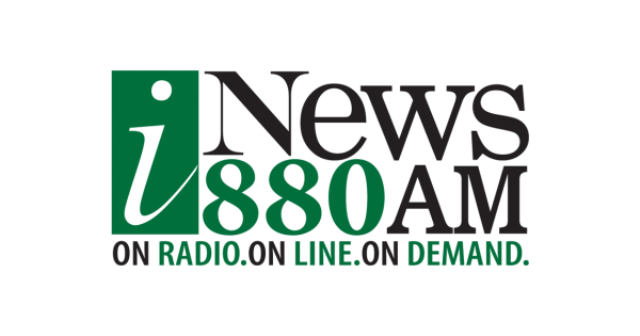 Fans can follow the iNews880 AM Edmonton on Facebook and Twitter. Here is the website of iNews880 AM: iNews880 AM.